Mark your calendars! In July, we will be hosting a Family Farm Visit! More details to come, so be sure to check back and / or “Like Us” on Facebook for more up-to-date information! Chèvre (pronounced “SHEV-ruh” or sometimes simply “SHEV”) is a type of French cheese made from goat’s milk. Depending on how it’s made, Chèvre can have different flavors and textures. 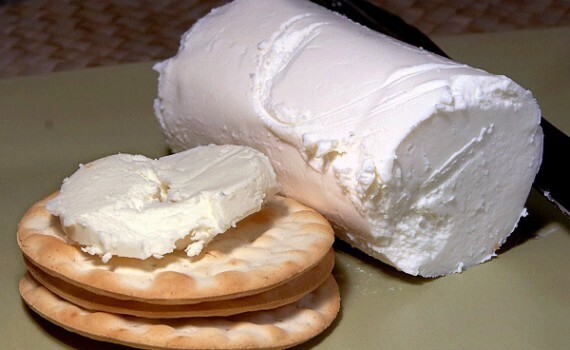 Some types of chèvre have a smooth texture, mild, buttery flavor and white color, similar to cream cheese. Other varieties of chèvre are still soft but slightly more crumbly. The flavor of these types of chèvre can be slightly more tangy. Aged Chèvre can be quite firm and yellow in color. 1.) Substitute for people who are lactose intolerant. Goat’s milk is a natural alternative to cow milk and can comfortably be consumed by many people who suffer from cow milk allergies or sensitivity. Although goat milk, like cow’s milk and human milk, contains lactose, many people with lactose intolerance can drink goat milk. 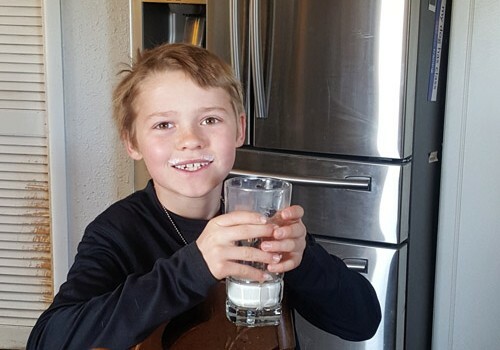 Studies show that cow milk, which contains something called alpha-s1-casein protein, may be more likely to cause allergic reactions than goat milk, which contains extremely low or no amounts of this protein. 2.) Cook with it for low-fat cooking. As you probably know, fats — in the form of shortenings and heavy cow’s cream, creamed cheese, and butter have traditionally been used in baked goods because of their rich taste and fine texture. However, they’re also hard to digest, low in nutritive value, and laced with cholesterol. Cold-pressed oils are more digestible, but their cost has risen alarmingly and they generally produce a poorer texture in baked items. Check out our Recipe Section for great goat milk recipes. 3.) Make better cheeses, yogurt and buttermilk. Goat’milk, as mentioned above, contains such small fat globules that the fluid is practically homogenized as it comes from the animal. This makes goat’s milk very easy to digest. Furthermore, the curd from clabbered goat’s milk also contains these molecules of fat plus all the nutritive values of the whole milk, plus lactic acid used to make buttermilk, yogurt, and sour cream — which produces those tender crusts we all find so delicious). This curd, in fact, can be successfully substituted for any type of cream or other fats in any baking recipe. 4.) Feeds other animals too. 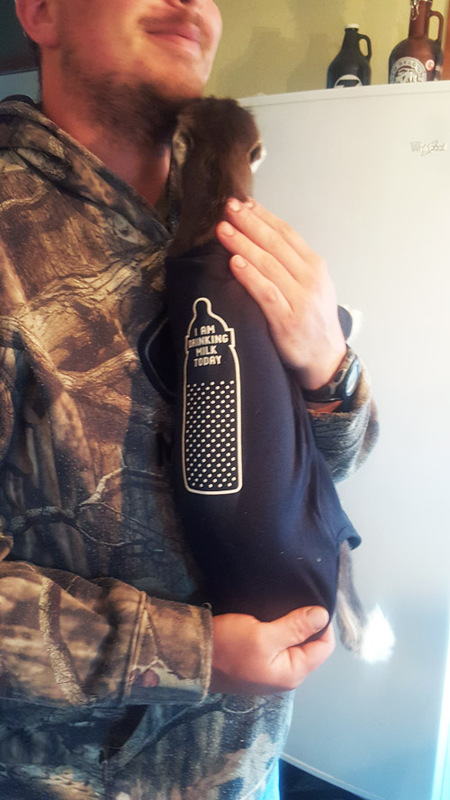 Our newest distributor, Nor Sky Pet Products who makes the Big Bark pet line is currently purchasing our goat’s milk to make their goat’s milk based pet nutrition supplements. 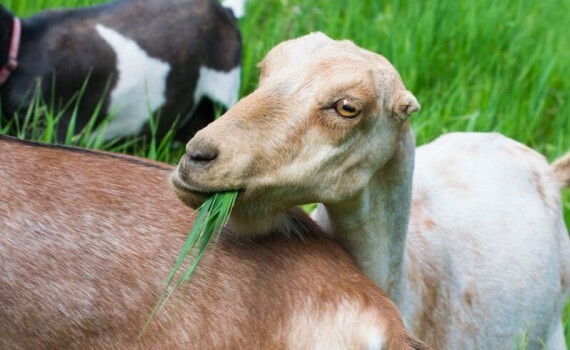 According to the Journal of American Medicine, “Goat milk is the most complete food known.” It contains vitamins, minerals, electrolytes, trace elements, enzymes, protein, and fatty acids.” and for this reason is not just healthier for humans but pets who need supplementation too. Having fat molecules one-fifth the size of those in cow’s milk makes it easily digestible and tolerable even for dogs with digestive issues and other baby animals who may need supplements or lost their mother. Fermenting goat milk, as in making Kefir, adds another layer of nutritional value. The fermentation process adds more probiotics which metabolize the lactose in milk and combine with its other nutrients to create the above health-supporting compounds.. Although fermented milk and dairy foods have been consumed for thousands of years, we’ve only recently begun to understand their benefits in fighting modern chronic illnesses such as arthritis, irritable bowel syndrome, gastric ulcers, colitis, intestinal pathogens and even brain disorders. Native peoples in about every country consume some type of fermented milk product, each with its own unique name yet very similar in its composition. Some examples include langemilk in Sweden, dahi or chaas in India, orjan in Greece and skuta in Chile. “Goat’s milk is rich in essential fatty acids and triglycerides. The essential fatty acids have a unique PH similar to humans, so it is less irritating and more easily absorbed by our skin. These fatty acids and triglycerides are super moisturizing. 7.) Bathe with it. Goat’s milk makes a wonder soap, for all the reasons mentioned above. Make sure to buy natural goat milk soaps without all the harmful parabens and chemicals though. 8.) Makes nutritious smoothies and breakfast alternatives. In a hurry for breakfast? Make a quick protein drink by adding your favorite fruit to a glass of goat milk and blend. Quick, on the go, and packed with protein and nutrients for busy lifestyles. For more great recipes using goat milk, see here. 9.) Condition your hair and scalp. There are a few natural hair care techniques using goat’s milk for hair and scalp conditioning treatments. We have one technique you can read about here. 10.) Goat milk baby formula. Goat’s milk is more widely accepted as a homemade natural baby formula if one is needed. With commercial formula best avoided and relying solely on donor breastmilk a risky proposition, homemade formula becomes an option well worth considering. It is best to make homemade formulas with a clean source of raw milk. See the recommended recipe for goats milk formula as published by the Weston A. Price Foundation. NOTE: The nutritional value of goat milk does depend on the diet and overall health of the animals that are producing it. 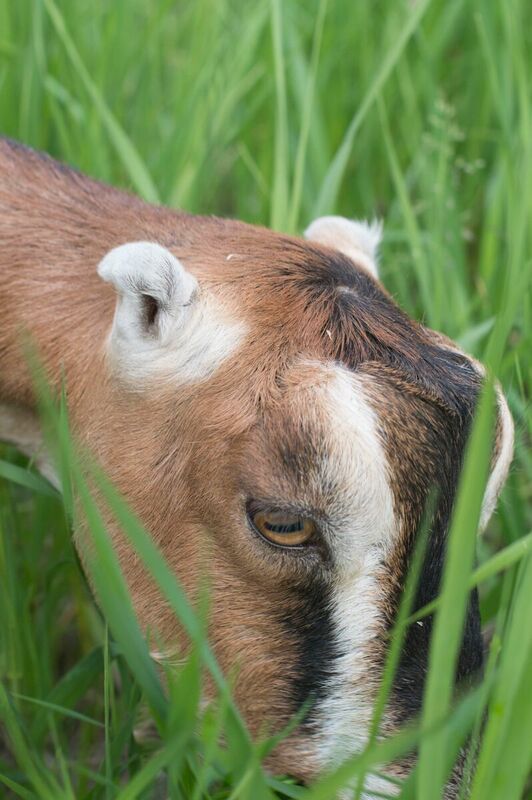 Goats that are pastured and grass fed in a low stress environment, free of antibiotics and free of GMO feeds will produce far better quality milk. Processing, such as pasteurization or spray drying, will also lower the nutritional value of the milk. If using a fermented goat milk or kefir, make sure it’s made from raw milk – lactic acid bacteria will thrive best on unadulterated milk that hasn’t been damaged by excessive heat. The probiotics in raw goat milk are also less likely to be destroyed by hydrochloric acid and bile salts in the digestive tract. Probiotics in pill and powder form won’t have the same value because they can be destroyed. The American LaMancha goat (or just Lamancha) originated from short-eared goats of a type found in LaMancha and others regions throughout Spain. Even so, there is not, nor has there ever been, a breed known as the Spanish LaMancha. The Term “American Lamancha” is an ADGA term which denotes a goat that is mostly Lamancha but has unknown genetics or varied genetics of other purebred goats. Recognized as a breed in the 1950s, this goat has excellent dairy temperament and is an all-around sturdy animal that can withstand a great deal of hardship and still produce. The milk is known for its high butterfat. The LaMancha face is straight with the ears being the distinctive breed characteristic. There are two types of LaMancha ears. In does one type of ear has no advantage over the other. The “gopher ear” is an approximate maximum length of one inch but pretty much non-existent and with very little or no cartilage. The end of the ear can be turned up or down. This is the only type of ear which will make a buck eligible for registration. The “elf ear” is described an approximate maximum length of two inches and the end of the ear must be turned up or turned down and cartilage shaping the small ear is allowed. Any color or combination of colors can be found in this goat breed and the hair is usually short, fine and glossy.